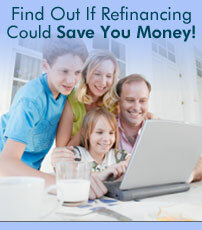 Choose between refinancing and home equity loans to get cash out for multiple purposes. Bridge Mortgages is a lender that provides online home equity loans for debt consolidation and 100% home equity loan refinancing. Borrowers can get cash out of their home for consolidating bills and financing business ventures or home improvements. Home equity mortgages provide new opportunities for homeowners to get a loan without having to go through the home refinancing step of revising their first mortgage. We are one of the only lenders extending credit lines and loans without requiring a lot of equity. Bridge can help you find a home equity mortgage that provides fast access to money when you need it. Debt Consolidation a Great Home Equity Mortgage Loan Solution! Consolidating debt is one of the many useful purposes of a home equity loan. 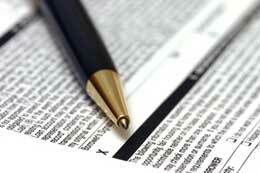 These second mortgages offer many financial benefits like bill consolidation and fixed rate refinancing. By moving debt from credit card companies that have variable interest rates, you will be eliminating compounding interest and replacing it with a simple interest that offers a tax deduction that will save you even more money. Home equity loan refinancing produces fixed rate options for homeowners to maximize second mortgage interest rates. In a recent article published by Nationwide Mortgage, loan officer J. Morris stated, equity loans are the perfect refinancing tool for consolidating credit card debt." Read more at on their website discussing refinance loans for cash out. In the last few years, the Federal Reserve has lowered the prime interest rate back to 4%. Finally the central bank stopped after seventeen key interest rate hikes in a row. Economists are predicting rate hikes and rate cuts, but what will really happen in 2013 and 2014 remains to be seen. If the Federal Reserve lowers the prime rate, more homeowners will take the risk with variable rate home equity lines of credit because they allow you to borrow and reuse the funds and the payments require only interest due on the portion of the credit line used. Today fixed home equity loan programs are showing lower interest rates than equity lines of credit, on average. The 4% rate was referenced on a $75,000 closed end home equity loan with a fixed interest rate for 15 years. There is a $695 in lending costs and the APR is 4.37%. The payment on a 4% 15-year equity loan would be $554.77 a month for 180 months.